Herd of Mountain Sheep rams on top of a hill in Yellowstone National Park. 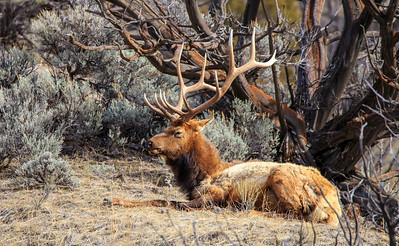 Big Montana bull elk laying down in Yellowstone National Park. 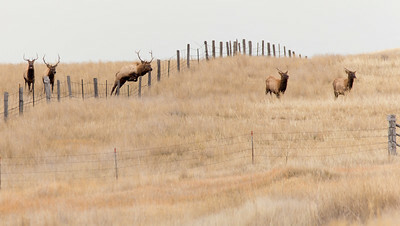 Bull elk jumping over a barbed wire fence. 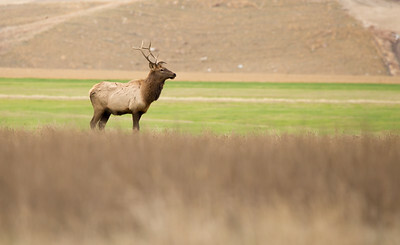 Bull elk standing in large hay field. Bighorn sheep looking off in the distance late Fall standing in the snow. 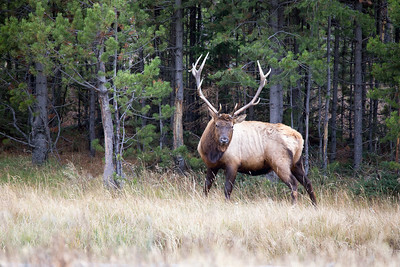 Photographed in Montana. 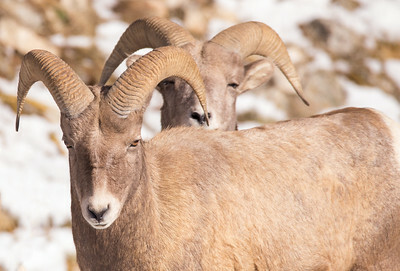 Two bighorn sheep with one standing behind the other in late fall with snow on the ground. 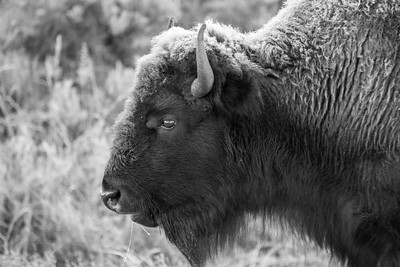 Photographed in Montana. 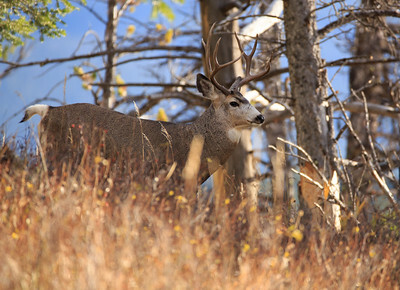 Bighorn sheep staring straigh ahead with sharp focus. 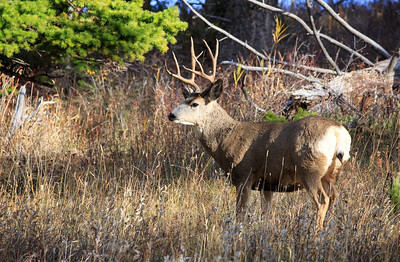 Photographed in Montana in the late Fall with snow on the ground. 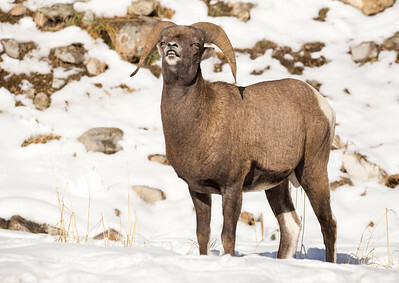 Bighorn sheep standing on a steep hill, looking at camera after eating the grass that isn't snow covered. Baby bighorn sheep standing on a hill in the snow watching the camera and being curious. Baby bighorn sheep trying to navigate down a steep hill through rocks and snow. 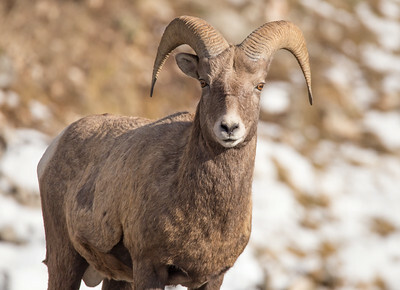 Bighorn sheep standing on a flat area looking like he's talking with a funny facial expression. 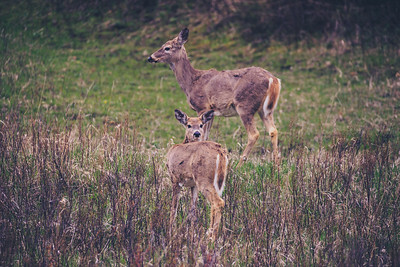 Two female deer atanding in a forest. 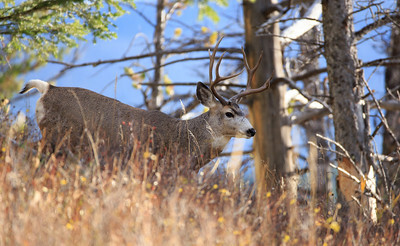 Mule deer buck on hillside eating, near Bozeman, Montana. 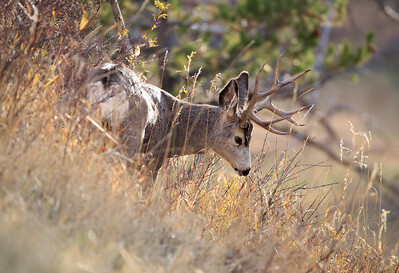 Mule deer buck in the wilderness in Montana. 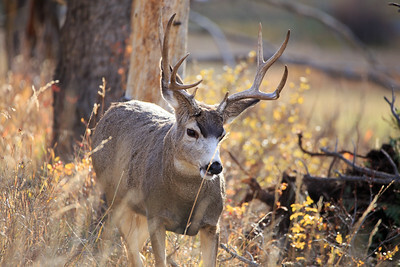 Mule deer buck standing in farm field looking at camera.